You can make huge savings on new Jaguars with Drivethedeal.com. The online broker is offering up to £8050 off a new Sportbrake and £7443 on a 3.0-litre diesel saloon. You can also save an impressive £7742 on the Jaguar F-Type Coupe 5.0 Supercharged V8 S.
The quoted prices include a £1400 discount on XF Saloon models and a £1,600 discount on XF Sportbrake models which is conditional upon you taking out PCP finance at 4.9% APR Representative over 12 to 49 months with a deposit of up to 30% arranged by the dealer. If you do not wish to take out this finance then you will need to add £1400 or £1600 respectively to the prices that we quote. 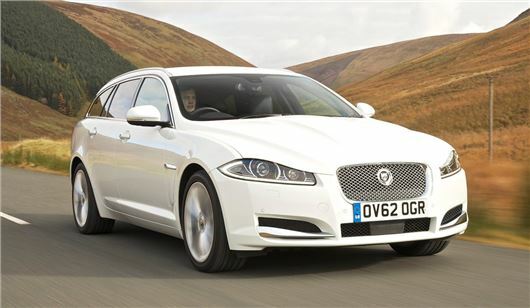 Jaguar are offering PCP finance at 5.9% APR Representative over 12 to 49 months with a deposit of up to 30%. The dealer that we put you in touch with will arrange the finance if required. Subject to Status. Written quote available on request.